PERA/Pellanc - Since 1896, Pera has been a leading manufacturer of quality winemaking and grape processing equipment. Manufacturing in Florensac, France, Pera supply products such as Destemmer / Crushers, membrane presses, Receiving and Selection equipment as well as specialty Fermentation equipment (such as Flash Detente and Gulfstream) worldwide. Enartis Vinquiry - Well established US and worldwide supplier of quality chemicals and ingredients for crush, fermentation and maturation. Also supplies a wide range of Winery Laboratory chemicals, reagents, test kits and glassware. Custom grape and wine sample analysis is also available on a timely and economic basis. D'Vine Intervention (by VA Filtration) - Pacific Winemaking now sells and rents nanofiltration "Sweetspotters" to rid wine of Volatile Acidity (VA), Ethyl Acetate (EA), Taints from Brettomyces (4EP & 4EG), Smoke Taint, pH correction and cold stabilisation. We also rent and sell Cross Flow Filtration machines built in the USA. G3 Enterprises (DIAM Bouchage) - In cooperation with G3, Pacific Winemaking distribute the DIAM range of closures for still and sparkling wines, and also beer and distilled spirits in the Pacific Northwest. DIAM use a revolutionary process to remove not only TCA, but dozens of other taints which often occur in cork. By their processing, DIAM is also able to structure their closures to eliminate bottle to bottle variation due to varying oxygen transfer, improve structural integrity of cork closures and reduce leakers. We will also be representing G3 for their range of "G-Twist" and Standard range of Screw Caps. The range of Poly-Laminate Capsules will also be included. TankTemp - A wide range of winery and brewery Cooling and Heating solutions made in the USA. Utilising both wate/glycol solutions and innovative heat pump technology, we're able to supply a number of stationary and mobile heating and cooling solutions for winemakers and breweries. FILTROX - Wide range of quality filtration consumables including Depth Fiber Sheets for plate and frames and lenticular modules for all housings. Both styles also feature the innovative TCA removal system for water and wine. Filtrox also manufactures high quality filtration equipment for the Wine, Beer and Fruit Juice Industries. Cartridge filters are also available from a number of quality suppliers. Algor srl - Wide range of Stainless steel tanks for winemaking and storage. Also a wide range of doors and accessories for tank manufacturers. TDD Grilliat - Sparkling equipment range from Champagne region of France. Disgorging, Corking, Wiring, Decanting and Blending equipment for sparkling producers. SPECIALTY PRODUCTS - New and Developing technologies, as well as different approaches to materials handling and premium wine production - eg. Movable Cooling bands (POLI), BIG RED® Bin Tippers (built in Oregon USA), Punch down equipment. We also customise wineries with fabrications of hoppers, stands and other mild and stainless constructions. Fermentation & Maturation Equipment - Oak Barrels (French, American, East European) in all sizes to 600L, different toasts and bending methods, Oak Tanks of all shapes and sizes (French and East European) with various inlet/outlet and stainless fitting systems, Stainless Steel Tanks and Fermenters of all shapes and sizes as well as custom builds, MICROx oxygen maturation systems, Oak Chain systems, Oak Staves and Tank systems, Slidable / Movable Tank Cooling/Heating Bands, Heating and Cooling systems from stationary and mobile equipment. Packaging Equipment and Supplies - Specialising in one way Keg Systems for Wine, Cider and Beer. PW are also proud distributor of the DIAM range of non-tainting closures for still and sparkling wine as well as G-Twist and G3's Standard range of Screw Caps and Poly-Laminate Capsules. Crown Caps are also aailable. Rentals - some crush-pad equipment, VA / EA / Taint removal Nanofiltration units (for a few barrels to large tanks), bin tippers and Cross Flow machines for filtration. We also rent a Heater / Cooler for juice and wine, and also beer which uses innovative Heat Pump technology. Pera H400 Destemmer gives gentle destemming (and crushing if desired). Easy to operate and clean (CIP in all), the H400 utilises a wide spaced auger to move grapes into the destemmer. This reduces shatter and maceration as well as bridging in the inlet hopper. Pera's Vibrating receival handles full 1/2 ton boxes and dispenses smoothly and evenly onto the Pera Selection Table following is removal of juice, shot berries and MOG over the sized inbuilt grate on the Receival floor. Your juice and MOG are then handled easily and efficiently. The Selection table features Easy to Clean structure, wide belt and Variable Speed. Our economic POLI bands can be added to non-jacketed tanks to both heat and cool wine within using your standard glycol machine and settings. Wine level too low? Just slide the bands down. Need to Cool another tank? Easily remove them and transfer to the next tank. 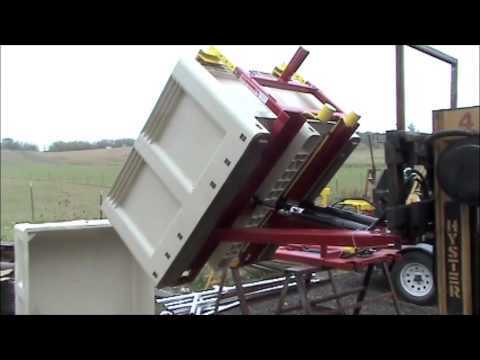 Pacific Winemaking's Big Red® Forward Bin Tipper works with most MacroBins and many other bins as well. Quick Fit fittings allow you to slide on, or slide off your existing forklift in less than a minute. Can handle drained Macro48's and has strapping points for additional security. Operator controls tip with side shifter. Tonnellerie MERCIER provide high quality Oak from selected forests in France, East Europe and the USA. Both traditional and newer toasting methods are used, as well as construction methods - giving winemakers excellent versatility and control in their oak requirements. Looking for an economic, one way, recyclable keg system for your premium wines? Look no further. KeyKeg offers great versatility and integrity for your wine. Can be stored full atleast 9 months, keeps wine fresh even after tapping and is able to use ANY gas (including air) to dispense without affecting the wine quality. We also supply filling machines for rental. Our Sweet-spotters from D'Vine Intervention (VA Filtration) are available for rent for use in the removal of taints such as VA, EA, 4EP, Smoke and others. This nanofiltration technology is also useful in removing sulphide and IBMP aromas, cold stabilisation and sweetspotting alcohol content. Easy to use, you can work with a barrel to larger lot sizes. Pacific Winemaking opens larger facility celebrating it\'s 10th year in the Pacific Northwest. 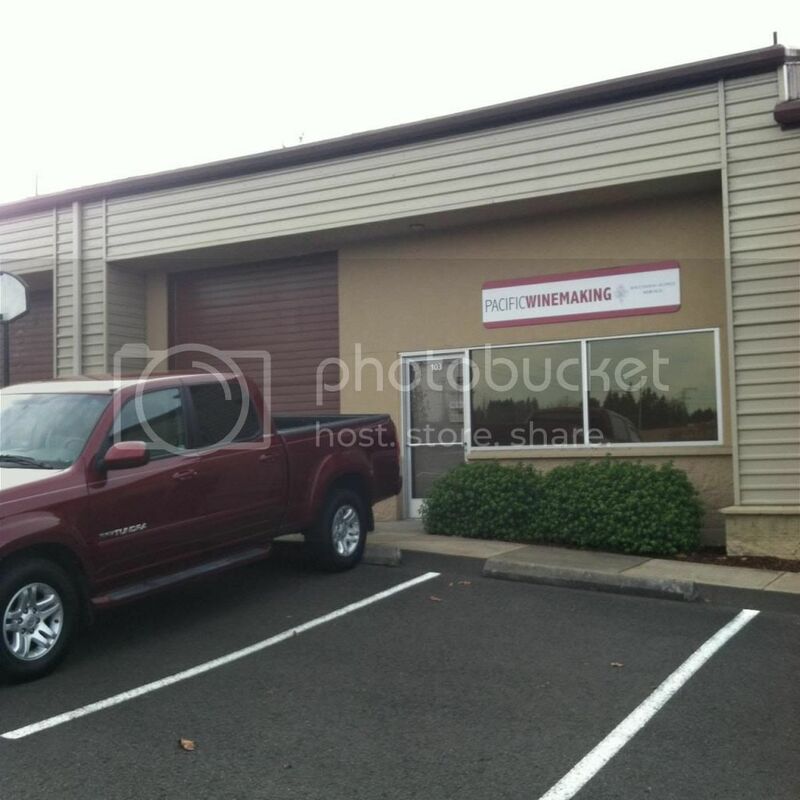 Pacific Winemaking llc is proud to announce the opening of their new facility to better serve our clients at 14937 SW Tualatin-Sherwood Rd., Suite 303 & 304 in Sherwood, Oregon. Only 500 yards from our earlier location, the new facility allows greater flexibilty in Equipment maintenance, stocking and supply. It also has a retail facility and presentation area for technical briefings to winemakers. Thanks to our customers for their support in celebration of our 10th year in the Pacific Northwest. View of Gulfstream ® Thermovinification system in use. Featuring even heating, non-clogging filters and seed removal. H400 destemming Pinot Noir grapes, soft skinned, into a Macro48 fermentor. Stand for the H400 built by Pacific Winemaking. Pera Vibrating Receival removes juice and shot berries before delivery to wide Selection Table with side waste bins. Selection Tables then feeds Pera Elevator for lift to destemmer. We are happy to announce that Pacific Winemaking is now offering contract on site mobile filtration, as well as small lot crossflow rentals and small VA removal units for rent based in Walla Walla, WA. Jesse Hildebrand [pwjhildebrand@gmail.com (509) 520-1967] has recently joined Pacific Winemaking to bring his expertise and VA Filtration equipment closer to our clients in Washington. Jesse has available the whole range of VA Filtration equipment to handle both large and small needs for filtration, VA and EA, Brett, Smoke and other taint removal. Talk to Jesse also about other equipment and consumables supplied by Pacific Winemaking [pacificwinemaking.com]. We look forward to talking to you soon about getting your wines ready for bottling. Improve Quality and Productivity with the Pellenc-Pera Smart Press. Pellenc-Pera SMART PRESS range brings technology, quality and ease of pressing in a robust package. Programs are easily input and control every step of the process. Easily fitted options allow for greater oxygen control, juice control and automatic cleaning. Their new patented juice screens ensure that you receive high volumes of quality juice while being easy to clean. Pacific Winemaking quotes, supplies and provides service for Pera-Pellenc in the Pacific Northwest. Give us a call on (503) 419-7942 or contact us on pacificwinemaking@gamil.com for up to date pricing, orders and technical support for the 2019 harvest. As an agent for VA Filtration, we are happy to announce additional filtration options for winemakers in the Pacific Northwest. Give us a call for rental (or purchase) of our 2 Membrane cross-flows. Easy to operate; just pick up from our site, use and return. We have a number of units available. Booking times are now available. Contact us for pricing and site requirements on (503) 419-7942 or pacbevsolutions@gmail.com or pacificwinemaking@gmail.com. * = Based on flow rate of clean white wines at proper temperature. As with all forms of filtration, processed volumes / hour vary by type of wine, temperature, solids and sugar content. Check with us for estimates on your specific wine. Our Slim B Semi Automatic Barrel cleaner allows the easy roll on of 225, 228, 300 and 500L barrels to the cleaning station. The unit is then able to supply water with a programmed timing through it’s unique washing head. This washing head is stainless steel Aisi 316 with rounded pointed profile with double three-dimensional rotation. It has hidden gears to eliminate damage to the wood of the barrel during the operations of introduction and extraction of the lance. The Slim B has a full steam option as well. Pacific Winemaking also are offering a range of Power washer wands including the Rotokiln HP. Using electric motor, the wand is able to introduce high pressure water to thoroughly wash the barrel, and extract the dirty water through the same wand. Equipt with an easy to use grip and bung locator, the Rotokiln HP provides rapid and effective barrel washing with minimum water use. To request a catalog click here or email us for a quote at info@pacificwinemaking.com. Smart Press - A New Range of Intelligent Pneumatic Presses "A Revolution in Grape Pressing"
"A revolution in Grape Pressing"
Pacific Winemaking presents the Pera-Pellenc Smart Press, a new range of open or closed tank pneumatic presses in capacities from 20 to 150hl. The Smart Press incorporates as standard the latest pressing innovations: smart pressing control system, touchscreen with intuitive user interface and easy-clean drainage screens covering the inside of closed-tank presses. The Smart Press has been developed to save time and energy, simplify press use, improve user safety and facilitate cleaning while improving juice quality. Following customer research and successful trials in the field, the SMART-PRESS range will be available for purchase for 2017. We are proud to announce that TDD Grilliat Machines, premier manufacturer of sparkling equipment in Empernay, France, is now working with Pacific Winemaking to provide quality equipment and support on their products in the Pacific Northwest. TDD Grilliat has manufactured quality equipment for many years for the Champagne region and around the world. Their range of products include: Disgorgers, Dosing, Corking and Wiring, Blending and Decanting Equipment. Check with us for TDD's new Corker / Wirer, the BM400 - perfect for smaller producers (Capper option available). 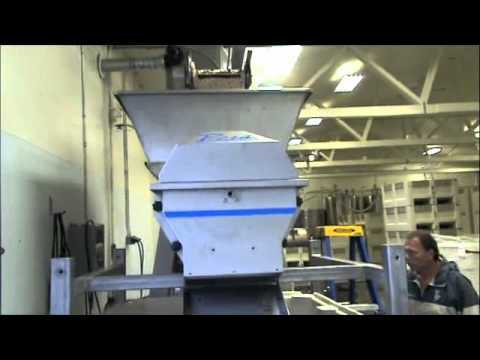 Call us on (503) 419-7942 or pacificwinemaking@gmail.com. Pacific Winemaking announces "Pacific Beverage Solutions"
Working with VA Filtration, we are happy to announce additional filtration options for winemakers in the Pacific NorthWest. Nowadays, it is clear that oxygen plays a very important role in the winemaking process. In correctly controlled doses, oxygen has many beneficial effects on wine. However, if uncontrolled, it can be responsible for wine spoilage through oxidation of phenolics, aromatics and microbe development. We supply 1, 2, 5, 15 and more outlet machines to manage your entire winery. Micro-oxygenation is a technique that consists of introducing, in a continuous way, small and measured amounts of oxygen into wines with the objective of improving wine quality. It allows the winemaker to have absolute control of the flow and quantity of oxygen dissolved into wine. Therefore, it improves wine quality and reduces the hazards of oxygen buildup and uncontrolled oxidation. An important rule of Micro-oxygenation is that there is no accumulation of dissolved oxygen in wine: oxygen is introduced at a rate equal to or less than the oxygen uptake rate of the wine.MOX involves the use of specialized equipment to regulate the oxygen doses applied. For more information on our Micro-Ox equipement, MOX monitoring and oxygen dosage, please contact Bruce Felix on brucefelix@pacificwinemaking.com, or on (503) 419-7942. In cooperation with G3 Enterprises, Pacific Winemaking will be brokering PetainerKEG in Oregon and Washington. G3 Enterprises has recently initiated blow molding facilities in California for these products and expanded use is seen in a variety of One way Keg operations in Wine, Beer, and Cider industries. For further information, call Pacific Winemaking on (503) 419-7942 or info@pacificwinemaking.com. We are pleased to announce that G3 Enterprises and Pacific Winemaking have entered into a new partnership. Pacific Winemaking will expand its broker role from representing DIAM closures to also representing the following G3 products: 30x60 MM GTWIST™ Cap Collection, Polylaminate Capsules, Crowns, and petainerKeg™ in Oregon and Washington. For further information, contact Bruce (503) 491-7942 or Will (503) 686-4162. Robust and affordable bin tipper for your forklift. Just takes a moment to put on or take off. Designed for Macro style bins, it will also fit many other style bins for tipping grapes, nuts, parts or other items. Will fit Macro16-48. Available from Pacific winemaking. The Pera TVR 2E provides easy and fast receival. With its grid system and removable drawers, shot berries, water and insects are easily removed. 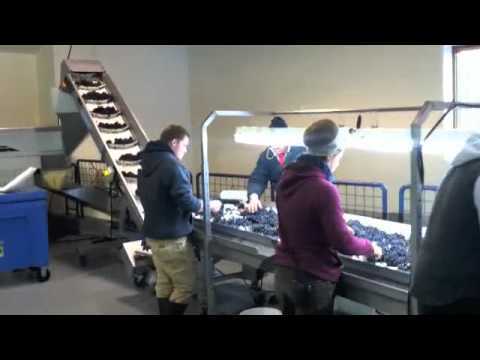 Its vibration levels the grapes and gives an even spread to discharge onto the selection table of into the destemmer. Pacific Winemaking is the agent for Enartis Vinquiry in Oregon and Western WA; supplying their full range of quality process chemicals, ingredients and laboratory products. One key area that Enartis is known for worldwide is supply of high quality Sulphur products for bacterial control during winemaking. Bacterial control during all phases of winemaking is essential in reducing impact through taints and spoilage. 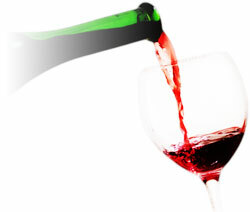 Sulphur products also are helpful in reducing the incidence of Oxidation in wine. Looking for Some More Barrels for Extra Volume or Increased Quality? Featuring Oak Chains... Rejuvenate older barrels! Chain sets offer a perfect solution to revitalize an older, neutral barrel. The sticks are secured to the bottom of the bung and dropped into the barrel where they should age with the wine for 3-6 months. The sticks come in short sets or long (1/2 to full new barrel equivalent) tied with food grade plastic end-to-end and are very popular where a bit more new oak is needed in inert older barrels. Give us a call at (503) 419-7942, or send us an email. Here is are quick savings for Pre-Harvest. It's early but the savings make them real tempting. As a supplier, sometimes I get a special deal or have extra items I would like to move; which could mean good saving for my customers. Many times though, the hard part is getting this information out to you. So i've decided to do a Quick Savings Alert and send out great deals which are once off (while stocks last). I'll make them short, and to the point; with some good savings for you. Clearing of in-date, refrigerated stock overstocked at present. BDH pH 10, 500ml $22.95 ea "
Enartis pH 7, 250ml $9.00 ea "
Enartis pH 7, 500ml $12.50 ea "
Enartis pH 7, 1L $19.50 ea "
ES181, 500g $35.00 ea "
Available until stock is cleared. Flat bottom, no legs, .1 outlet (25mm = 1"). Includes lid, tube and pump. Used Stainless Steel 1tph destemmer - 110V - $850 o.b.o. Diam is the only cork closure that provides both a perfect homogeneity between one bottle and another and perfect control over the different levels of permeability. The DIAMANT® method also provides incomparable sensorial neutrality. • TCA taint-free (below the limit of quantification of 0.3 ng/l) and many other molecules responsible for sensorial deviations. • Optimum bottling line (insertion) performance and unsurpassed elastic recovery. • Prevents leakage, seepage or dust risk. Pacific Winemaking look forward to continuing support of Pacific Northwest with provision of superior products to winemakers. The Mercier Classique range is wide and diversified, and includes both standard and specialized finishes specific to the brand. Bordeaux and Burgundy barrels, 300 liter containers andabove can be found in our standard (Transport) range and in several specialty ranges seen below (Product Information Sheet). (We also have American & East European Oak - see price list). Give us a call to try Mercier this harvest. Increased stocking levels of products like Harvest Chemicals, Lab Reagents and Lab Gear, filtration consumables, tanks, fittings and other day to day requirements. Pacific Winemaking is now renting Cross Flow Filtration units. Very useful for small to medium size lots, or needed over a period of time. Our CF8-2SPM unit wil filter up to 180 gal/hour (based on clean white wines), is easy to use and cleans your wine to 0.2 micron nominal. Just order the unit and you can pick up and use for a day, week or longer based on reducing daily charge (no set up fees, no gallons processed fee). 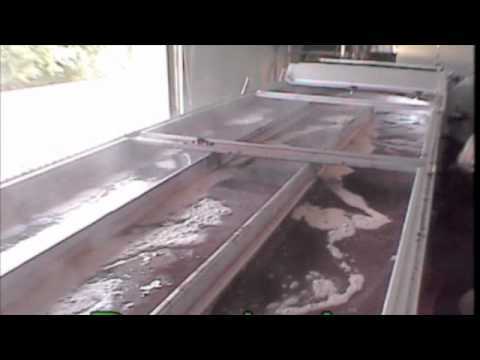 Pacific Winemaking, working with VA Filtration offers Sweetspotter units for Taint removal. Our SS4-1-10 unit is ideal for use with barrel lots - processing 60 gallons of wine / hour, it reduces VA and other taints by 10% per pass. Our larger SS4-4-40 unit processes 240 gallons of wine per hour. New improved nanofiltration technology from VA Filtration offer a wide range of applications critical to winemakers. Give us a call or email to discuss the possibilites with your wine.